These instructions will show you how to check a manual out so that you can edit the title and outline. Note that you do not need to check out a manual in order to edit a lesson in the manual. 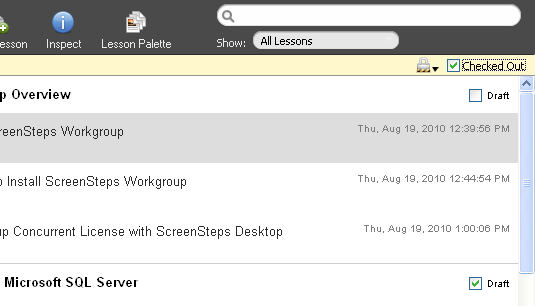 Just check out the lesson. 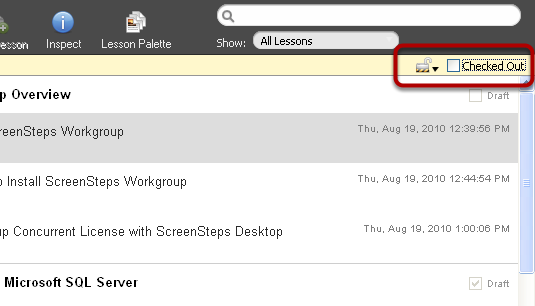 If you need to check out a manual that is already checked out by another user then refer to this lesson. 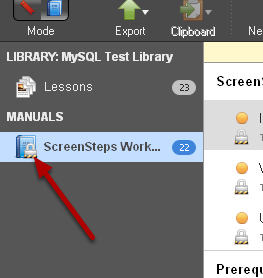 You can right-click on a manual in the list of manuals to check it out. Just select Check Manual Out from the menu. A lock will appear in the manual icon showing that it has been checked out. 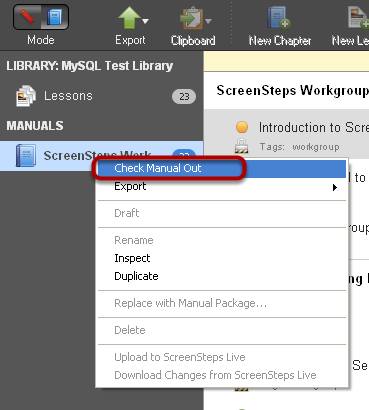 While viewing a manual you can check a manual out by clicking on the Checked Out checkbox. After clicking on the checkbox the lock will appear locked. You can now makes changes to the manual.